In June 2016, national news headlines were dominated by Britain’s referendum on whether to remain within or leave the European Union. Other news disappeared beneath this maelstrom, including a story which lays bare some results of a political system which is neglecting and damaging children. 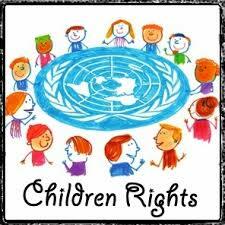 On 3rd June 2016, the United Nations Convention on the Rights of the Child(UNCRC) released their advance, unedited version of the concluding observations on their fifth periodic report on the United Kingdom of Great Britain and Northern Ireland. and the harsh manner in which children are treated by the criminal justice system. It also raises concerns about reducing opportunities for play and leisure, and rising obesity rates amongst the child population. The main concerns the UNCRC raises in the area of education relate to inequalities, particularly the use of various forms of subtle exclusion for children with special needs, who, they comment ‘are often subject to the practice of “informal” exclusion or “taught offsite”. The announcement that Mrs May’s administration wishes to bring back selection at eleven will further enshrine a system of mass exclusion to underpin the entire system of secondary education. Other issues raised by the report relate to the use of acoustic youth dispersal devices in public spaces, the use of tasers against children, the use of restraint and isolation when dealing with children who have psycho-social disabilities, and a lack of policy development in response to adolescent bullying behaviours, particularly through online interaction. The UNCRC also recorded its concern about the increase in numbers of children coming into local authority care who might have remained with their families, had timely support been provided. The mishandling of juvenile mental health difficulties underpins a range of UNCRC concerns, including youth suicide linked to social and economic deprivation and the lack of infrastructure for dealing with children’s mental health difficulties. This means that too often, children who require in-patient treatment for mental health disorders are hospitalised many miles away from their homes. Out-patient therapeutic services were judged as similarly lacking, and concern raised about the overuse of psychotropic drugs such as Ritalin, controversially used to treat Attention Deficit Hyperactivity Disorder (ADHD), a condition that is exacerbated by lack of free, active play. Finally, the report raises a range of concerns about the treatment of children who are accused of criminal offences, in particular the over-use of custody and the very low age of criminal responsibility. At ten, this is the lowest in Europe, far lower than several states the western media frequently invites us to see as harshly governed, for example Russia (sixteen), Egypt (fifteen) and Turkey (twelve). This is a relatively recent development, as prior to 1998, England required a judge to investigate whether a child between 10 and 14 fully understood the implications of his/her actions before proceeding to trial. Societies such as the Scandinavian nations with a much higher age of criminal responsibility (15) are not, as Home Secretary 1997-2001 Jack Straw would have had us believe, over-run with young offenders; they operate a non-criminalising early intervention system and have been rewarded with much lower numbers of persistent youth offenders than the UK . the UK is a nation which shows insufficient concern about children living in poverty or having a dearth of time and space to play, preferring to medicate those deemed ‘hyperactive’. Its state education system contains significant inequalities, which the new administration plans to further exacerbate. Within the past twenty years, England and Wales legislated to effectively reduce the age of criminal responsibility, despite increasing evidence from neuronal development experts to suggest that the human brain remains immature for far longer than was previously proposed. Finally, it offers grossly inadequate mental health services to children and young people. Nelson Mandela commented that ‘history will judge us by the difference we make in the everyday lives of children’. In the contemporary UK we apparently have so little interest in our children that this report lingers on obscure websites, light years away from media headlines, which prefer to deal with political chicanery and media gossip. We would do well to consider what future historians perusing the UK media for June 2016 are, with hindsight, likely to make of these content choices. The author is a qualified teacher and Chartered Psychologist. She is an advisor to the Save Childhood Movement and the Too Much Too Soon campaign. A version of this article was first published in the Huffington Post, 19 Oct 2016. This entry was posted in Social Justice and tagged British values, childhood, community, grammar schools, mental health, poverty, wellbeing. Bookmark the permalink.